For a time long Sharjah’s property market has been linked to Dubai’s, with rental and sales prices fluctuating in tune with the latter. 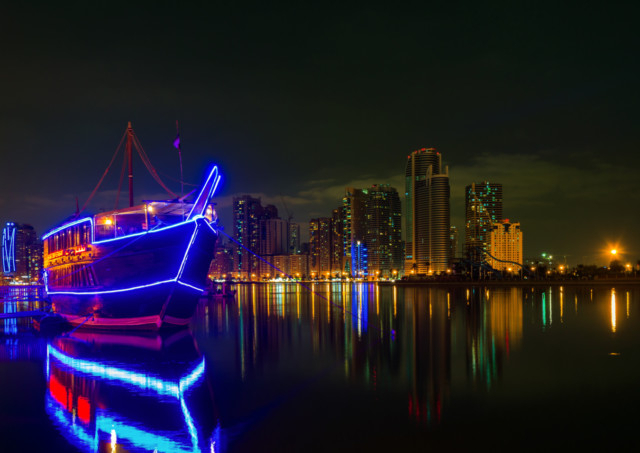 With the recent changes in the property ownership laws that allow all UAE nationals to buy property through freehold and 100-year leasehold, Sharjah is now trying to make a lucrative market of its own for both local and foreign investors. Sharjah has a long history as the manufacturing heart of the country, however, Faisal Durrani, head of research for Cluttons, says the opening of the real estate market to UAE residents two years ago was a watershed moment for the emirate. “It threw open the floodgates to pent-up domestic demand from long-term residents eager to put down roots in Sharjah, or those who have been priced out of Dubai or Abu Dhabi, in addition to those looking to diversify their property portfolios,” says Durrani. For now, he adds, the emergence of an investment property market is delivering a new style of residential asset to the market in the form of gated communities — a first for Sharjah. “These are available at a significant discount when compared to Dubai and given Sharjah’s focus on family living, it is appealing to an underserved segment of the population that would have otherwise considered options in Dubai,” adds Durrani. With more expats investing in property and coming to stay in Sharjah, it is further creating demand for lifestyle-driven projects, including mixed-use developments, malls and family entertainment centres. A number of developers, either on their own or through partnerships with the government, are launching big-ticket real estate projects in Sharjah. Sharjah-based Omran Properties announced Dh2.47 billion worth of projects that will bring new opportunities to invest in residential, retail, commercial and hospitality projects. Slated to be launched later this year, the largest of these is Maryam Island, a Dh2.26 billion mixed-use development located between Al Khan Lagoon and Al Mamzar peninsula. There is also a five-star hotel, Al Khan Village Resort, worth Dh120.6 million, and Kalba Waterfront Mall in the emirate’s Eastern region emirate at cost of Dh106 million. The first major project to break ground was Tilal City, a Dh2.4 billion mixed-use development spread over 2.3 million m². Tilal City offers a unique opportunity to purchase or lease land and build property within the emirate. A flagship project of Tilal Properties, Tilal City is the largest planned real estate project in Sharjah and will house 65,000 residents. The developer is also building a 185,806 m² Tilal Mall expected to open in 2019. “Developments such as Tilal City have had a positive impact on market conditions and have been well received by investors,” says Teh. Undoubtedly, Sharjah’s economy is feeling the pinch from the wider slowdown across the UAE, but industry observers say the demand for a slice of Sharjah’s emerging freehold and leasehold market remains high and continues to exceed expectations. “For Sharjah, these types of developments are a fairly new concept, but there has been an increasing demand for higher-quality projects and I am sure these types of developments are going to be very popular, cutting down the need to do the longer commute in particular,” says Suzanne Everleigh, head of Sharjah and director of property management in the UAE at Cluttons, adding that there are now more companies planning to move from Dubai to Sharjah. Durrani says Sharjah continues to surprise with its higher-than-expected profile among the region’s wealthy investors, as demonstrated by its third-place ranking among GCC countries in Cluttons’ 2016 Middle East Private Capital Survey, behind Dubai and Abu Dhabi. Other developers such as Sharjah Holding, a strategic partnership between the government of Sharjah and Majid Al Futtaim Properties, are also focusing on developing and managing retail and mixed-use projects such as Matajer, a neighbourhood shopping centre concept, and Al Zahia, a master-planned residential community. Majid Al Futtaim has announced a Dh260 million expansion and redevelopment of Sharjah City Centre, including a 12-screen VOX cinema and a clinic. The company’s Al Zahia project offers 2,270 residential units across seven neighbourhoods, in addition to six themed parks, leisure facilities and a super-regional mall. Welanetz agrees that the law introduced in 2014 that allowed expats to acquire property in designated areas has attracted a larger and more diverse group of property owners to the emirate.